Our acquisition system suffers from working in silos with little inter-connectivity between the silos. It’s not project driven. The entire machinery in the chain thrives on finding flaws rather than facilitating acquisition to progress. This article is the third in the series of articles on DefenceProcurement by the author. His earlier articles Defence Procurement – Strengthening Our Achilles’ Heel and Knowledge of Defence Acquisition – Educating Our Achilles’ Heel have already been published on this website. 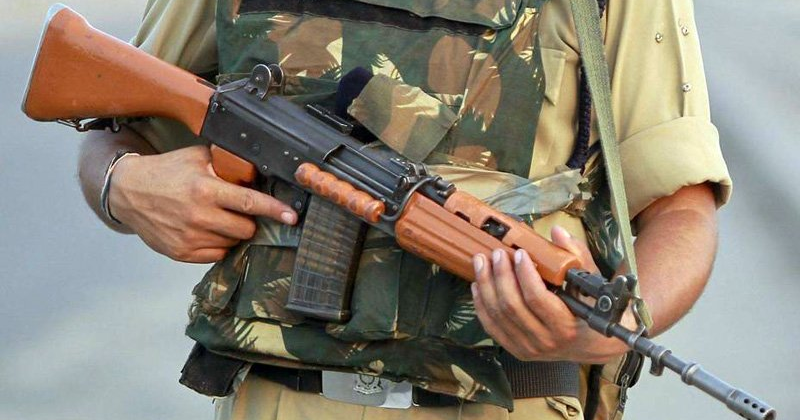 The Indian Army is acutely short of bread and butter weapons -Rifles and Carbines. 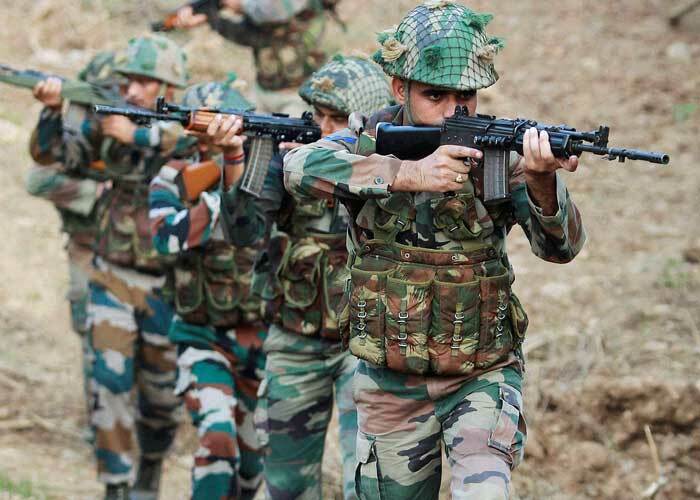 Accordingly, the Defence Acquisition Council (DAC) recently cleared ‘fast track’ procurement of 72,400 assault rifles and 93,895 carbines on a government-to-government route to meet the immediate requirement for front line Infantry soldiers. Indigenousrifles in large numbers will be procured to meet balance requirement in a parallel route. This ‘fast track’ case of over a lakh and a half weapons has major issues. A well foreseen requirement of such huge proportions, could not be made good through normal procedures or through indigenous development after more than a decade’s effort. It’ s now being fast tracked! Our record in fast tracking is worse than normal procedures. Indigenous development is at best ‘Iffy’. The outcomes are staring at us unless the weapons have been Pre-decided! If the weapons are pre-decided, the story is complicated. This fast-tracking ‘Catch 22‘case symbolises the state of the MOD Acquisition Chain. This case and many such others cannot be put through unless the MOD works in an integrated manner. An ex DCOAS, who I respect immensely, responded to my previous article. He wrote – “We need to bring the entire process under one roof. We cannot have stakeholders such as EME(MGO), EMI/EMC DGMO) etc., working at cross-purposes. Even trials need to be centralised. Case studies of any major acquisition will highlight the problem within…. but it makes sense to blame the MOD etc…”. He was alluding to lack of integration within the Army. He pre-empted this article. In the larger sense, his view applies equally and perfectly to the larger environment also. 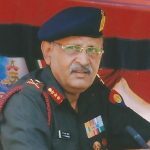 Our lack of knowledge is only topped by a state of disintegration and compartmentalisation of the various entities which comprise the Chain – MOD, MOD (Fin), Army, Navy, Air Force, DRDO, OFB, PSUs, and DGQA. Each are Independent silos with their own aims; often working for their own goals. A revamp is totally needed both in the physical and metaphysical planes. Integration in the metaphysical plane is the Center of Gravity of acquisition. If this is not fixed, we are wasting time. This is fundamental and overarching. The prime ingredient is good leadership. 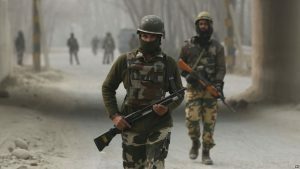 Firstly, the political leadership must define the level of defence preparedness pragmatically and not reflect the unattainable wish-list of the Services. Secondly, there must be an executive leadership which can convert this political vision into a reality over a stipulated time horizon. The Missile Program had Abdul Kalam, the Delhi Metro had E Sreedharan, UIDAI – Aadhar had Nandan Nilekani, the Green Revolution had MS Swaminathan, the White Revolution had Kurien and Atomic Energy had Homi Baba. They made things happen and made the difference. When will Defence Acquisition have its helmsman? I am sure, if the Government means business it can find the man to do it. After all, India has talent. Cometh the hour and Cometh the man? Let us hope so. Integration of thought, based on the hope of success rather than fear of failure, is mandatory for success in Acquisition.It needs a palpable commitment and will to achieve, building confidence and trust whilst eradicating intrigue and suspicion of motives. It must be based on high standards of transparency, principles, integrity and a passion to do things for the nation. It must be about ‘Service Before Self’ as instilled in our respective training academies. It must be a single-minded focus to equip the soldier on ground with the best possible weapons to defend the nation when called to do so. To a large extent, this needs to be driven politically, aided by the top military and bureaucratic leadership. It must also be about muzzling the vested interests and petty ways of peripheral entities in the chain. Procedurally, all cases small or big, hurdle through the hoops imposed by each stakeholder. The perceptual cognition of each stakeholder varies depending on his viewing prism. That is fine for the checks and balance theory. However, the problem is that most stakeholders, overzealously overstate their importance.They become more loyal than the King! From being facilitators, they become roadblocks-detrimental to the overall interests. In many cases, stakeholders exhibit rigidity, poor knowledge and a superior attitude. They feel that their view is supreme. To protect departmental turf or by over caution; unnecessary conditions get injected which drag down cases. This major problem needs major attention. The ability to think for the common good rather than the perceived individual good of an entity and to move from imposing hurdles into a solution-based regime is a major psychological shift. The adjunct to this are those people who peddle agendas – of their own, of their departments or outside vested interests. They need weeding out. The conditioning of the mind of the decision maker is largely dictated by his staff and the inputs provided by them. The staff insulates the decision maker and hijacks decisions. The requirement of the soldier on the ground is lost in translation. Irrelevances are highlighted. Loops are created. Decisions taken with good intent end up in cul-de-sacs. The acid test here is – are we equipping the man on ground, on time, to defend the nation? If yes – fine. If not, is the proximal conditioning phenomena at work? Often it leads to incorrect and piecemeal input enough to poison minds. A major systemic flaw is the lack of monitoring and utter lack of accountability. Cases move on indeterminately tailoring a lifeline of their own. The view that all cases must go through the grind is OK. The grind cannot be a labyrinth. Who monitors it? If cases do not fructify and capability is not added, there is no accountability! In my entire service, I never saw anyone being sacked for lack of delivery and there were quite a few who deserved the sack. I have had the pleasure of seeing only one Raksha Mantri chasing people and seeking accountability to progress cases in time. That was the time when cases, even difficult ones, were finalised, after meeting all procedural requirements. It can be done, only if proper accountability and monitoring systems are put into place. In Defence Acquisition, time is money and capability. For some strange reason, everyone seems to accept delays and are comfortable with it. With delays, costs jack up due to inflation. In a technology deficient country like ours, it is lethal. No wonder our defence budgets are never enough. With time, threats and battlefields morph. New dimensions of warfare emerge. Terrain changes. For example, the Thar Desert is not the same as it was a couple of decades ago. Weapons and their requirements start losing their relevance. Technological revolutions and disruptions happen. Goal posts change. The relevance of developmental efforts/projects fades. It remains a catch-up game throughout. That’s what, we in India, have always been doing. I remember a British Minister reporting to the UK Parliament about early completion of projects thereby saving costs and enhancing capabilities. Not to mention considerable earning through export of the latest capabilities. of the equation by each compartment. This is a huge anomaly since these segregated compartments are supposed to be for the Services whom they are keeping out! Total Catch 22 situation. 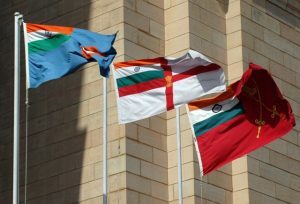 Jointness must be not only between Services but also between various wings of the MOD Acquisition chain. 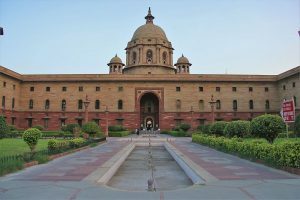 Many times, I have seen that the bureaucracy, especially the MOD (Fin), DRDO, OFB, PSUs and DGQA, behave more knowledgeable than the Services in the latter’s domain. Their dominant behaviour is, at times, that the Services are appendages to the system and they are the main actors. As a result, the skill sets of each compartment instead of being complementary with the other becomes competitive. Unless service officers populate MOD, MOD (Fin), DRDO, OFB, PSUs and DGQA, knowledge will not meld or multiply. The man on the ground must have a fulltime working representation in the system. Otherwise, there is very little hope. A case file goes through anything between 7-8 layers before it reaches the DAC. This huge layer of fat is often explained away as ‘Due Diligence’ and “Stake Holder Input”. More often it is about risk aversion and playing safe from fear of failure.In fact, these layers really represent the compartmentalization and disintegration of the system. It results in obfuscation of reality and induction of red herring loops. Additionally, anyone in the chain can raise a query and the case gets back to start point. Our Acquisition process is a dynamic snake and ladder game where a snake can appear at any stage and get you back to start point. The current plans and projects are great wish-lists. Many will suffer great delays since the detailed integrated planning is not done. Reality checks are rare. Kite flying by peripheral players is perpetual. The current MOD system has no method of prioritisation which can be implemented to achieve results. Only integrated planning, with due financial allocations, can convert requirements into war equipment in a time bound manner. If wish lists and slogans like ‘Make in India’ are to work, the IPMT approach will have to be adopted for major projects. Otherwise, they will be beautiful on paper and hollow on ground. Teamwork through integration is the need of the day. Silo-interconnection at various levels is the first step. The last step must be a dedicated organisation which can effectively carry out meaningful acquisition. Services must be integrated with the process, deeply. Keeping them out of the loop cannot be the official/ unofficial policy. There are many models available internationally. Continuing in the current ostrich like fashion will only deplete defence preparedness and reinforce the String of Pearl’s theory. China is at our doorstep. Pakistan, like a termite, will attempt to eat away our innards. If our trillion-dollar economy must flourish it needs to be protected so that the common Indian has a better way of life. Time to get our act together? Personally, I am hopeful that my view encourages introspection by people who matter. There could be differences of opinion with my viewpoint. But there can be no argument or justification that our Acquisition system has failed to deliver to the nation. Hopefully, someone in authority has the passion and desire to see things getting better. Even if this article ignites one spark in anyone who has the authority and has the gumption to begin the process of change a substantial goal would have been achieved. 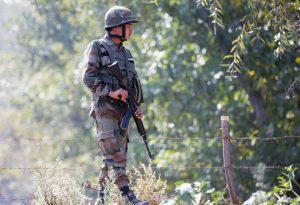 A solution could involve moving Department of Defence Production (DDP) and Defence Research and Development Organisation (DRDO) out of Ministry of Defence (MoD). Currently the seller (MoD controlling DDP) is the buyer (MoD controlling the Acquisition Wing). It is a classic case of conflict of interest.